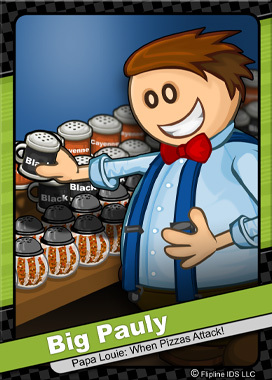 After opening Pauly’s Pepper right next to the Pizzeria, Big Pauly quickly became a regular customer at Papa Louie’s restaurants. 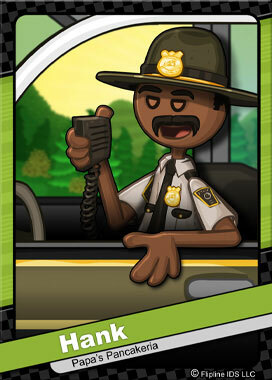 He came to Papa Louie’s aid when Sarge contaminated a batch of pepper which created dozens of Pizza Monsters. Big Pauly supplied Papa Louie with explosive Pepper Bombs to help defeat Sarge and the infamous Onion Ring.